We want visitors to enjoy a car free day not only in the Avon Gorge, but in their journeys to and from it. If your first thought was to come by car, see if you could come by train – to Sea Mills, or walk, or come by bike. Do not worry if you get a puncture, there will people to help. Why not post your travel plans on our Facebook page, so others can learn? 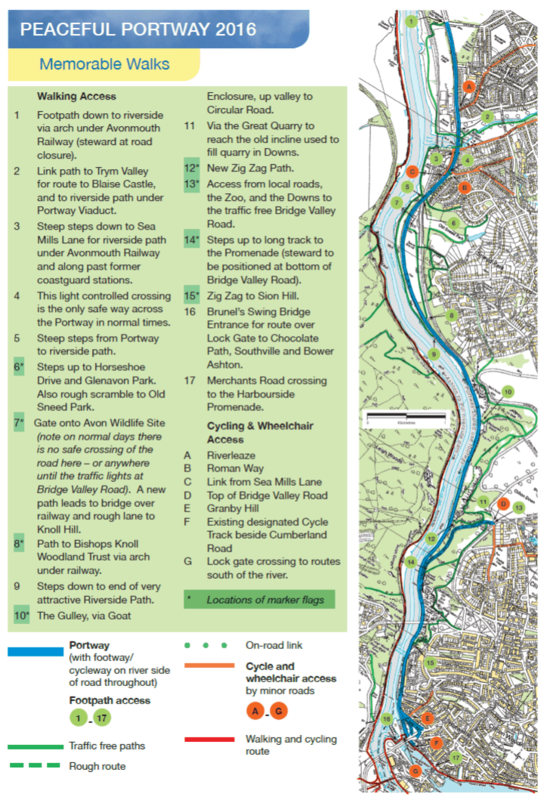 If you live in Clifton, Henleaze, Stoke Bishop, Sea Mills or Westbury-on Trym you could explore one of the many footpaths to the Portway. Seamills Station is on the river just below the Portway. If you live near Severn Beach, Avonmouth, Shirehampton, Lawrence Hill, Easton, Montpelier, Redland and Clifton Down, or Temple Meads then you could come by train. 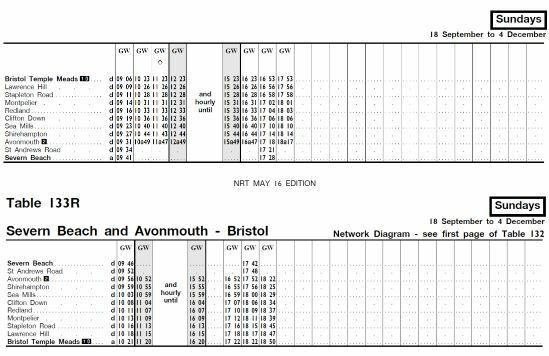 Trains run between Temple Meads and Severn Beach roughly once an hour on Sundays, between 9 am and 7.00pm. The return fare for any journey is £2.00 for an adult, £1 for a child, and can be less if you travel in a group. Look at National Rail journey planner or for bus and train enquiries from your home look at Traveline South West. Special services will be running from Long Ashton and Brislington Park and Ride Sites all day.